Who doesn't like a little Selene or Deadpool shenanigans? nice article on hollywood world great!!! Belated congrats to Tyrean, great news and views about Hollywood, I remember Hollywood when Lee took me there when I met up with him. Deadpool and Civil War the only two shows (movies and tv) that I saw last year. Clearly I need to get out more. Agree on Deadpool! Huge congrats to Tyrean! Looking forward to reading her story. Congrats to Tyrean and Christy (Cecelia). Looking forward to seeing Underworld. I tried to watch Arrival and couldn't get into it. I think I was in the wrong frame of mind. Definitely going to give it another try. I feel as if I've been in a whirlwind of activity in the last 3 weeks, and I'm just coming down to Earth. With the Holidays, traveling, having family stay with us from Florida, I'm looking forward to seeing some good movies and reading. And hopefully write a word or two on my new wip. I always enjoy your movie critiques, Alex. Have a nice week! I'm not so fond of Kristen Stewart's acting either...can't imagine her as Snow White. Off to start a new week of what I shall see. Netflix had a hit with Stranger Things and I cannot wait for season 2. Arrival was a top pick for me as well. It was new and creative, I am waiting for it to come out on Red Box so I can watch it again. I did enjoy The Huntsman Winter War I saw it at the theater and I wasn't disappointed. So, tell us your Cassa fans what is next in your writing journey? I am hopeful we will see another short story from you! Off to battle the cold I need my warrior armor today! I'd like to see Arrival. Glad you liked Rogue One. Hey Huntress! Good to hear from you. Mason, give it another try. It's potential Oscar material. Just started watching "Huntsmen" this weekend . . .got interrupted so need to finish. Good to hear another installment is available. A great new year IWSG kick off indeed! The last thing I would ever want to see is you going all ninja on someone so I hope I don't have that word verification crap on. I haven't seen the whole movie of any of the Underworld movies but they look like fun. I think Batman vs Superman is getting a bad rap. It's not that bad and Wonder Woman rocks. I loved Deadpool and I want to see him in any Avengers film just to shake things up especially with Ironman. I still must see Rogue One and I so want to see La La Land. I also want to see Arrival since this sounds like an intelligent alien film and not the typical, aliens want to kill us all type of flick. I just checked. My blog doesn't have the verification. Casey must have turned it off. I just ignore it per your prior advice. I just saw Rogue with my boyfriend. We didn't like it that much. Glad you did though. I adored Stranger Things and can't wait for this season to start! Totally with you on Stranger Things! Loved. It. Saw the second Blair Witch movie and Hell or High Water this weekend. Both only okay in my book. Yay for CA:CW! Adored every minute of it! Glad to see ST Beyond among the honorable mentions too. This sequel deserved more credit than it received. Underworld looks to be a good bet. Will keep eyes peeled for it. Great to be reminded of the 2016 line-ups. Hank missed many of those on the list. Not on word verification Hank does not think so but certainly not on moderation. Yeah that Blogger verification is the worst. Almost as bad as Jupiter Ascending. I still haven't seen Arrival I need to do that this week as someone gave us a bunch of free movie tickets for Christmas. I never see verification anymore. I don't know why!!! I do know if I'm guest posting on someone's blog and I try to reply to comments, after so many, it won't let me reply for a while. I guess it thinks I'm a spammer. I ALWAYS visit the new people. That's the best way to pick up new blog readers, y'all!!! This last time, the vast majority of the new people hadn't posted IWSG related, so that was just weird! Stranger Things deserves the win indeed. The cat is still on the list. Figured that is what Underworld will be, it I will eventually see. Deadpool would sure be up there on my list. Batman v Superman was good, but that whole cringe worthy Martha is both our mother's name scene and Lex, dropped it a bit for me. Oh and yes, HATE seeing that stupid crap. Or pick a shop and then you pick them all and they all keep disappearing and you have to keep picking a new one until it finally stops giving you store fronts. I haven't seen any movies lately, but I'm interested in both of these. I haven't seen Rogue One yet, but I'm surprised to see that you've ranked Civil War higher; it was a really good movie. I could have passed on X-Men Apocalypse, at least I wish I had. Oh well. That verification thing is so frustrating. My favorite movie was "Lion." I always enjoy seeing Kate Beckinsale back in the saddle. Great reviews and picks. I've only seen two of your top movies, but thumbs up for all of the TV shows. I also enjoyed Westworld. Have a terrific week! RYC: Today's Totem release was four of out nine. Yes, I'm crazy. It's a nine book series! I only watched about the first three episodes of Stranger Things last year. Should really watch the rest. 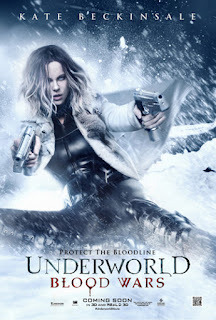 Glad to hear the trailers are true and Underworld: Blood Wars has gone back to the paranormal goodness we all love. IWSG was great this month and reminded me why I fell in love with blogging. It was a delight visiting the blogs on my list and I even ended up adding a few to my blog roll. Would love to come back again later in the year if possible. Sorry about that blogging verification thing. So grateful that doesn't happen to me when I'm in full on blog visit mode. Everyone has a fail somewhere, at least you corrected it Mr. Ninja. Captain America: Civil War only became my #2 movie of 2016 because of Hell or High Water. Deadpool was a sensational superhero movie and potty mouth. Can't wait for the sequel. I also loved Jungle Book and Zootopia. Wasn't able to go see any movies after August. Drives me batty all that I missed. Will be using some Amazon Gift Cards in the future to catch up. Doing it all legal and supporting the industry. My TV shows of the year include Quantico (ABC but I watched the whole season on Netflix) and Once Upon a Time (ABC and I rewatch episodes on Netflix). Need to catch up with Agents of Shield. At least I started the new season last year so I only need to watch episodes I missed from this season. Thank Goodness! A guilty pleasure I watched recently on Lifetime channel was Stalked by My Doctor. Talk about a crazy pants with a medical license. And the TV movie had a sequel! Just Lifetime fun for those into that sort of thing. Have a great day Alex. Not seen any of the movies yet, I will do so eventually I hope. Your music is definitely not my music. Haven't seen any of those blogger verification things yet. Looks like some kind of game. I might like it. Haven't heard any of the albums or seen the films or TV shows except for The Flash. Not a fan of the altered timeline garbage. They keep that up and I'll probably bail on that one before too long. I've got a post planned regarding that altered timeline scenario, but I don't know when I'll get to it. I've got a theory about it that I think is a good one. Birgit, doesn't matter if you have it on or not - after so many blogs, it appears regardless. And Deadpool and Iron Man in one film would be priceless. Madeline, appreciate that you do! George, after watching Beyond again, I liked it even better the second time. Stephen, go! Get your brains blended. Stephanie, good point! I did find some newbies who'd posted. Pat, those drive me crazy. I think street numbers are the worst then. Toi, they were close, but Civil War was just an edge higher. Charles, that's part of why I didn't like the third movie - no Kate. Hilary, that is always frustrating when comments won't take. Sheena-kay, glad you enjoyed co-hosting! Bummer, meant to mention that I need hosts next month. Will add. And S.H.I.E.L.D. really picked up with the addition of Ghost Rider. Lee, look forward to reading it! I liked this month's IWSG question. I saw a lot of interesting answers. I haven't seen Blood Wars yet. :( I'm behind a season on Game of Thrones too! Gads, can you believe that! Totally enjoyed Arrival! And Dr. Strangelove, too. On the Huntsman: Just the opposite for me. I really enjoyed the first one out. I loved the Captain America movie. He is my favorite superhero. Although I think AntMan stole the show with the airport scene. I watched all but one of your top 5 movies: Batman vs. Superman. Maybe on DVD someday. I'm sure my son owns it. I'm surprised you don't have a list of top 5 books read. I enjoyed almost all the same movies as you. Huntsman was so much better than the first. I really like Superman vs Batman. Civil War was great and broke my heart a little bit. Loved Stranger Things and GoT. I also go hooked on The 100 for TV shows. I'm happy to learn that the Kate B film delivered the goods. I love werewolves and vamps especially when they fight. I can't wait for the second season of Stranger Things. Eleven is likely to be Twelve or Thirteen by the time it finally airs. :) I'm enjoying The Flash and working my way toward the current season. Rouge one is my favorite movie right now. The man in the high castle is my favorite show. The writing is incredible. It has a scifi element to it. Hopefully when I get back into the swing of things, I will be doing more IWSG posts. All friendlies are welcome to my Sci Fi blog! Maurice over at GeekTwins has disqus and a multi commenting system which is pretty awesome. I'm missed Dr Strange and was kicking myself. All your movie picks rock, Alex. Star Trek Beyond was great but needed real PR so badly - Disneys Star Wars movies always come out top because they have proper marketing, I'll have to watch Rogue One now. That's funny and infuriating, Alex, regarding the signs. Now we must prove we're not robots by being able to get through an inconsistently robotic screening process that tests vision, ability to count, and - especially - patience and persistence. You have to get it correct the first time and try again anyway. What is this world coming to? I can't wait to see the new Underworld! Your list: better call Saul...um my Manly Man watched it and I can't say I was a fan, but I'm girly and I like romance and fantasy more than anything. Though Saul has some funny parts in it. My favorite movie on your list is Deadpool. I also enjoyed Suicide Squad. I can't really give you any bigger of a run down than this as I don't watch much TV. I'm recently watching Hannibal series with my best friend and I'm watching Grimm with my kidlets. Otherwise I'm work orientated or craft consumed. I can host in February. What I watch-TV Shows--most not new released in 2016 but 2nd season--but these are still my top to watch over others and ones I would be sad to see go away. There are move than 5 but these are top 6. Watching reruns too like Dexter which I did not see when it was on. I agree that "Stranger Things" was surprisingly good, as was "Game of Thrones." Joanne, I do have a thing. Holly, I only encounter it now after visiting a lot of blogs in one day. Stacy, too many blogger buddies with books - I'd hate to rank them. Shady, you'll appreciate the current season of Flash. And can't wait for season two of Stranger Things. Christine, love to have you join us. Spacer Guy, you need to catch both Rogue One and Dr. Strange. Robyn, it does test my patience by the end of IWSG day. Not to mention chews up a lot of precious time. Kane, my wife wasn't a fan of Saul, but she did enjoy the episodes she watched. Juneta, thank you! And like that you carefully considered your list of favorites. You should do a blog post. Just wait until you see Stranger Things. It will jump to the top. What could be better than Kate Beckingsale in black leather? Ah, Scarlet Johanssen as Black Widow. :-) I will watch the new UNDERWORLD on DVD. CIVIL WAR, ROGUE ONE,and DR. STRANGE were great movies. HELL OR HIGH WATER was a happy surprise. I love FLASH, SUPERGIRL, and LEGENDS OF TOMORROW. ARROW is bit too depressing. 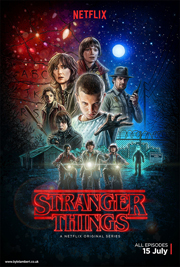 STRANGER THINGS was my standout favorite TV show of last year. May your New Year only contain happy surprises! I hate those verification images. I've noticed that I have to do a couple of those for it to go through, and not because it's wrong but because it just changes. Last week's IWSG was great. I enjoyed visiting a lot of the blogs. I'm still good with my listing. One thing I don't have to change this year. I'm into Stranger Things, but have to take a dose of Disney after a few episodes! I love the Huntsman movies! The second one really built the characters and voices and yes, the special effects and all that ice was fantastic. I also saw rogue one! Finally! I loved the big giant octosquid memory eraser. And all the scenes with Vader. Happy Monday! Alex, I'm available in February. Interesting reaction to Arrival. I'm looking forward to it. Happy January. I've had a similar verification thing pop up before. Blogger clearly doesn't take people with massive blog rolls into consideration! Thanks for the news and insight. Appreciate your time in compiling this for us. Have a great week! Woohoo! New movies that you didn't pan! (I'd be happy if I never saw Kristin Stewart in anything again.) I loved your tops list! Sorry about the verification thing. I'm lucky to have not run into any of them on my "travels." Congrats to Tyrean for the story and Christy for the new book (great cover!). I haven't seen the picture verification (yet!) does sound quite annoying! I'll check my IWSG . . . I think it's OK! I seem to be a bit behind on my movie watching of late unfortunately. Roland, I've just never been able to get into Arrow. Maybe that's why. JE, no they don't. Darn them. Lexa, I would also be happy with that. Those new captchas are horrid! I also hate the ones with fuzzy letters and numbers. I have very fuzzy vision in my right eye even with glasses or contacts (due to a scarred cornea), so I often have to click for a new image, or guess incorrectly. There are far better ways to weed out spammers, and if a spammy comment slips through, it's not that hard to mark it as spam and delete it. IWSG is always great :) Can't wait to see the anthology, and I have no idea what movies we'll end up going to see this year. Guess we'll find out! My sons took me to see Rogue War for Christmas. I really enjoyed it. Need to go back and catch up on the others. I must check out some of your lists too. Have a great week. Short of it, Capt' Civil War... was my favorite. 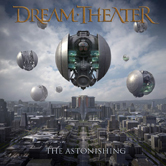 Dream Theater I just got and slowly listening too. I just want to really see Kate in tight leather, lol. Happy into the new year... sadly BOWIE, gone for one year... the stars still look a little different today. No offense, because I know you and lots of other people still have them, but Blogger blogs in general drive me a little nuts because of their tendency to be glitchy and eat my comments. I know, because I used to have one and people would tell me Blogger had eaten their comments a lot. It's happened to me too. I much prefer the picture game then the "type in this garbled word or number" version. That one's my biggest pet peeve as far as verification goes. Well, you surely are the Sci-Fi expert that's for sure... but quick question. Did you understand what Ms. Moncrieff just said... ? I didn't understand a word of it, but it wasn't meant for me anyways. Sorry... Anyway, I know one thing though I've learned if I'm going too or wanting to go see a Sci Fi Movie... I'm coming here first to find out what you think before I waste my time. Did you have a Post that stated anything about Ms. Fischer just wondering. I will say I'm a big huge fan of Debbie Reynolds. So much talent wrapped up in that little body was amazing as far as I'm concerned. She was just the hugest cutie pie. OMG, that verification thing! I got slammed with that during A to Z last year. I didn't realize the number was 25. That sounds about right. Oh, and Jupiter Ascending... I accidentally watched that (had no idea what I was getting into), and by the time I realized what a train wreck it was, I just had to finish it. Not that I expected it to get any better, but I was in. At least I got some good knitting in. Love your movie and TV pics, Alex! I just saw Arrival yesterday and was most impressed. I knew it was based on an award-winning short story, and like The Martian, which was based on a novel, the literary strength, intelligence and structure shone through. Let's hear it for us writers! And may you have a wonderful 2017. I hate those captchia's where you gotta solve a puzzle to post a comment. Yep, I'm a robot, this droid moves along to the next one. I almost always enjoy IWSG. Unfortunately, this time I didn't make it around to visit as many blogs as I would like< I've got to get better about that. I usually try to start at the bottom of the list and work my way u, hoping to catch several newbies. Then I go to visit my regular friends. I'll be better in the future. I promise. 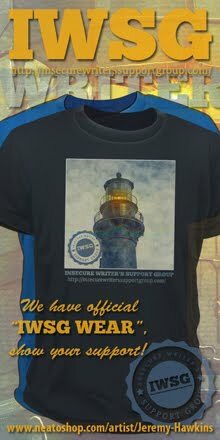 Follower of ISWG here - enjoy the site, newsletters, anthology (ies), posts and visit some of the participants. Rogue One should totally be on any top of 2016 list. My favorite movie of 2016 was Sully. I thought it was outstanding. And back on the cancer preventative...They don't sell it. It's a natural product from a tree that only grows there. Amazing. The Blogger picture thing is a nightmare. I can't believe someone thought that was a good thing to implement. You have me curious about The Arrival. People at work were just talking about how much they enjoyed it yesterday. Stranger Things definitely makes my list for best shows. My husband took our boys to see Rogue One a couple weeks ago, and they had a great time. I would have gone too, but someone had to stay home with the baby. Oh well. I will see it eventually. I'm finally getting around to watching the first season of Homeland, so that's my favorite at the moment...although The Crown on Netflix is pretty good too. I remember, you have a thing for Kate. I was readying my IWSG post and noticed I'm no longer on the list, which is OK. Good luck with it all. No time to see movies lately. Working a lot then I come home and work a lot. Jeremy, awesome you picked up Dream Theater! JH, at least you don't use Disque or Facebook for comments. Marie, honored you come here first! We lost two great talents that week. Such a shame. I didn't watch. Haven't seen La La Land, but not a fan of musicals and annoyed it won so much. It was cool to see The Night Manager get several awards. Faraway, appreciate that you do that. LG, someone has to play mom. Christy, you're welcome! And I do need another host. I will email you very soon. Mary, you can always sign up again. I'm so with you on Rogue One. I didn't realize how obsessed with that movie I would become. I missed Arrival when it was in theaters, but I'm trying to avoid all spoilers until I can see it at home. 'Kate in her black leather'. Ha. You do like your black leather. Grin. Agree with a lot of your top 5s, I haven't seen Arrival or Rogue One, but am excited about both. I recently rewatched ET with my kids. I hadn't seen it in years and it's still a good move. Plus, the kids loved it. I love how Stranger Things reminds me of ET with a splash of Goonies. The 80s were awesome. Hi, Alex! Sorry I'm late making the rounds. I'm having a lot of misadventures in Trailer Land. My latest, just resolved, involved rabbits. Who knew rabbits liked to chew on insulation around wires, and that if they chewed enough off the wires that connected your thermostat to the furnace, certain wires could touch and the furnace would run, even when it was turned off? Got a little hot in here, literally and metaphorically, until we figured it out. The amazing and funny handyman, who takes care of so many trailers in this park, was swearing at the rabbits as he pulled out the wires from under the trailer, because he had diverticulitis and really didn't want to elbow crawl way under it. And here I thought he was scared of tarantulas and scorpions ~ which surprised me because he looks and acts a lot like roughnecks on oil rigs I've worked on. Life is never dull and often funny! I hope you have co-host for February. I would volunteer, but we will be moving out of our trailer and headed to Phoenix on that day. I'm beginning to feel like a gypsy, as we go on The Great House Hunt, aka Where Will We Land in Retirement? I do not like those captcha things at all. I feel like I get them wrong and it is frustrating because I am not a computer. I either don't pick all the right ones with signs, or storefronts, or water. I hate when I have to do them over and over! First of all, I am not a robot. Just a paranoid android from Radiohead's album, OK Computer. Interesting prog rock choices. I know have the urge to go retro and listen to some Uriah Heep, followed by Emerson, Lake and Palmer. MJ, thanks! Either next month or March would be cool. Sandra, just on Kate. And my wife. If I could convince her to wear it. Elise, yes! They were similar in feel. Fundy, sorry about the rabbits! And thank you, appreciate your kind words. Hey, Gary! Good to hear from you. I miss being a part of this community. So many movies I have missed. I have so much to say in this comment but I won't. Love coming back to your blog when I have been gone for awhile. I'm pleased The Goldbergs got an honourable mention. As an 80s child, I love that show. I thoroughly detest the word verifies. I can understand the need on the more popular blogs (like Nathan Bransford's) but when you have to do it at lest 3 times with no end in sight, I stop commenting on the blog and go back into lurking mode. I think I had enough of prog rock for a while. My local college stations did a few monster tributes to Greg Lake when he passed away (like playing Brain Salad Surgery from beginning to end), so a break from that genre will be greatly appreciated. Blogger verification......Huge pain in the hinnie!!!!!!!!!! I was surprised how many relatively big movies Netflix scored recently. Jungle Book and Civil War? Perhaps the surprise is from how weak their catalog was for so long. I'll give Huntsman 2 a look. I can co-host next month if you still need someone, Alex. Hi Alex, I'll have to checkout the movies and shows you have mentioned. Yep, word verification irritates me a lot, but as I don't visit as many blogs as you do, I kind of manage, though I grumble a lot to myself about it. I even blogged about it once, hoping that the bloggers who have word verification on, will switch it off. But, I guess they didn't bother doing that. Ah! Interesting reviews in your post. Have Netflix in Australia but, always a but, The Huntsman: Winter Wars hasn't been released in Australia as yet. Stranger Things, just love it! 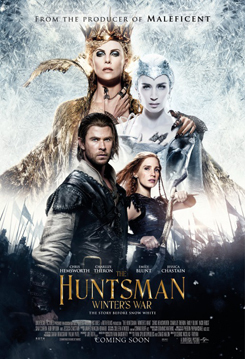 I've watched the second Huntsman, and quite liked it. Um, that's also cos I like the male lead lol. If you need anyone, I'm available to help in February, as I'll be taking a break between drafts. Have a great new Year, Alex, and here's hoping your blog and your books go from strength to strength! I'm late to the blog this week, but if you still need a February cohost, count me in. Top movies or shows? I get stuck watching the same old same old on Netflix, but I did like Penny Dreadful. Must give Stranger Things another chance. Game of Thrones rocks. Great post as always! I always appreciate your reviews on movies and tend to agree with them :) Plus I needed the push to visit others on ISWG- I've been rather lazy about it but I know how good it feels to have others visit me! Thanks, Alex! I kind of spaced on blogging early this week and missed your super nice shout out. My family started enjoying Gotham last year - we are a little behind, but it's one of our top 5 shows (for teens and up). PTM, we have missed you! Ellie, it's like Stranger Things - brings back good memories. John, they've gained ground with their original series. Rachna, there may not be a way to switch it off now. Margaret, welcome! Stranger Things was awesome. Thanks, Damy! And if you're off the list, just sign back up again. Thanks, Tamara. Might need one for March. And that song would drive me crazy after a while. Tyrean, sorry I missed you the first time. Mark, since you use Google+, no verification. Annoyance does not come close to the way I feel about that kind of verification, Alex. Let's just say it often keeps me from commenting (I'm no ninja, clearly) and makes me want to go and watch Jupiter Ascending instead. Happy to see the Top 5 list. I will see the Huntsman...I did like Kristen Stewart in the first one, but you're right, SnowWhite should be happy/cheery. :) I haven't seen Civil War (which I can't believe!) but I will. I have to check out the Huntsman: Winter's War and verifications tend to make me leave the blog very quickly. Very annoying! EVERYONE is talking about Better Call Saul. Now I should see it! I saw Manchester by the Sea, which was devastatingly sad. Now I want to see Hidden Figures. We watched (rented, obv) SUICIDE SQUAD last night. Wanted to love. Sadly, did not. Saw DEADPOOL a couple of weeks ago and was pleasantly surprised. Thought it was hilarious. I'm with you on your choices for movie of 2016 - Civil War was easily one of the best superhero movies I've seen, and largely because it genuinely explored the consequences of super-powered people doing what they do. And Rogue One covered Star Wars territory that no other Star Wars movie has, which I think was great - it's good to see how the Rebellion does its thing without the involvement of the Jedi. I hate that stupid blog verification!! I am behind in blogging and it's because of that! Errr....!!!! I could throw something at my laptop right now!!! LOL! Lucky I can still laugh about it! I love Deadpool!!! OMG, Alex! That is wonderful. Kudos and congrats on the translation. Woo Hoo! We finally watched The Accountant. I was pleasantly surprised by it and Mr. Afflek. Hi Alex! It has been awhile. Although I tell myself to keep up sometimes life doesn't always cooperate the way I want it to. We did watch the new Huntsman movie. The hubby liked it. I was pretty much on a limb with the movie. I like how it went back to how it all started, but that is about all. This week we are renting Inferno. We love the Da Vinci Series- Angels and Demons and hope Inferno is as great!